This competition has now closed, and the winners have been contacted. Feeling a bit stinky? Craving some cabbage soup? You’re in luck! 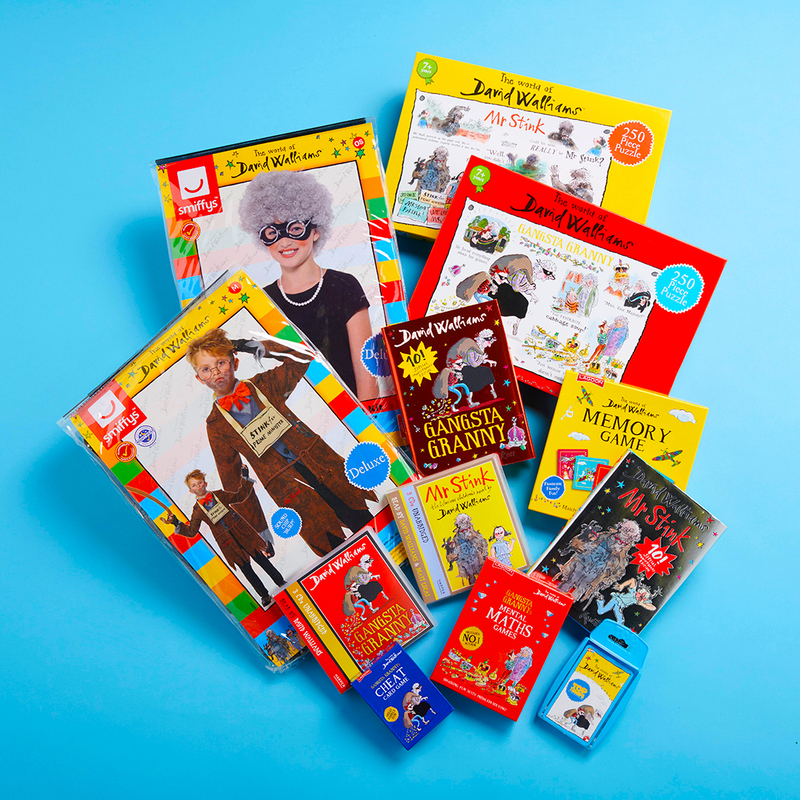 We’re giving away not one, not two, but THREE Mr Stink and Gangsta Granny bundles ahead of World Book Day! All you need to do is tell us: Why do you want to dress-up as Mr Stink or Gangsta Granny this World Book Day? Why do you want to dress-up as Mr Stink or Gangsta Granny this World Book Day? This competition is promoted by HarperCollins Publishers Limited (“HarperCollins”), 1 London Bridge Street, London, SE1 9GF. This competition is also promoted by NS Theatres. This promotion is open to all UK residents except employees of HarperCollins(or their parent, subsidiaries or any affiliated companies) and their immediate families, who are not allowed to enter the competition. You must be 18 to enter this competition. If you are under 18 you must have permission from your parent or guardian. The opening date for entries is Wednesday 13th February. The closing date for entries is Wednesday 20th February. No entries received after this date will be accepted. Tickets subject to availability. The closing date for entries is midnight 20th February 2019. The prize is non-refundable and non-transferable. The prize will be delivered to the winner before 26th February. HarperCollins reserves the right to select another winner if the original winner cannot be contacted within a reasonable timeframe. To obtain details of the prize winner after the closing date, please write to kids.marketing@harpercollins.co.uk HarperCollins Publishers, 1 London Bridge Street, London, SE1 9FG.